Do alternate varieties offer opportunities for California avocado growers? It’s no secret that the Hass avocado is the darling of the world. More than 50 years ago, California growers began planting the variety and Mexico followed suit as it eyed the U.S. market, as did Peru and Chile. Colombia began adding Hass acreage to its prodigious supply of native avocados about a decade ago, and it is now also trying to gain access to the lucrative U.S. marketplace. But is the Hass avocado really the only avocado that consumers will eat? Tom BellamoreIn fact, Florida does grow and market its thin-skinned, large green fruit with some success. And at this time of year, some California shippers do have alternate varieties and have experienced good success. California Avocado Commission President Tom Bellamore believes alternative varieties may offer at least a niche market for California growers as they continue to compete against the growing tide of Hass avocados from various sources. While California growers argue that their Hass avocado is better during much of their season in the late spring to early fall vs. fruit that travels to the United States from thousands of miles away, no such argument is needed with the other varieties. Currently only the Hass variety can be imported from Mexico or the other countries. Bellamore said there is very little worry that a California avocado of the Reed variety, for example, will face direct competition of the same variety from foreign soil. He said CAC board members, as well as others in the industry, are discussing opportunities with other varieties and the concept has some strong advocates. Bellamore said California is already attempting to distinguish its avocados to discriminating customers by touting its freshness and local appeal, especially to U.S. consumers in the West. He said adding varieties would expand the portfolio — because they are often harvested at a different time of the year — and also add some year-round marketing punch to the California avocado brand. A few shippers are already experiencing success with these “off” varieties. Jared Bray who handles sales for Stehly Farms Organic in Valley Center, CA, said his packingshed does very well with five different avocado varieties: Zutanos, Bacons, Fuertes, Reeds and Pinkertons. Though there are not accurate numbers concerning the total California production of these “off” varieties, some estimate that it could be as high as 5 percent of total volume at this point. This year, that could represent as much as 25 million pounds. Currently much of that production ends up in farmers markets. Stehly is a producer of organic avocados and Bray said much of the company’s production of organic Reed avocados is sold to Whole Foods, which apparently is very happy with that variety. Bray said it grows larger than the typical Hass with some of the fruit getting as large as two pounds. Stehly leaves its Reed variety avocados on the tree as long as possible and tries to market them in the September-through-November time frame, which is at the back end of the California deal. And he added that he always gets a premium for that fruit. He said the other varieties also do well, but the Reed is the real star. Singing the same tune was Bob Lucy, a partner at Del Rey Avocado Co. in Fallbrook, CA. “The non-Hass varieties are a very important part of our program,” he said. Del Rey sells both organic and conventional avocados, and Lucy said the organic production of Reeds is also sold mostly to Whole Foods. But he also has conventional production, which sells for a premium to other retailers predominantly on the West Coast, but there is interest everywhere. He said the Reed variety has been around for a while but his firm, as well as others, did it a disservice by initially picking it too early. Lucy is quick to say that it has its flaws, including the yellow pulp color that needs to be blended with a Hass for the right guacamole colors. But he said it does offer a niche opportunity for California growers fighting for market share and better pricing. In fact, Del Rey has made a commitment to that variety, as well as other “off” varieties, by investing in its own nursery to grow root stock. “One-third of the acreage in that nursery is devoted to Reed,” he said. Rob Wedin, who is in charge of fresh sales for Calavo Growers in Santa Paula, CA, believes in the concept of expanding California’s variety diversity, but he doesn’t believe the state’s growers have found the right variety yet. Wedin said most California growers have converted their acreage of Reeds and Fuertes and other varieties to Hass simply because of the economics. He was quick to point out that he does not put the Lamb Hass in that category. The Lamb Hass is different than the regular Hass, as it has a slightly smoother skin and does tend to grow larger in the early part of the season. But by late June and into July, it behaves like a Hass and is marketed as such. During the middle of the season, Wedin said the Lamb Hass can account for as much as 15 percent of Calavo’s volume during that period. But again it is largely marketed as a Hass avocado and doesn’t seem to qualify for “off” variety status. Bellamore said he would like to see more growers add small acreage of the Reed variety precisely to expand the marketing opportunities for growers and the commission. He said it will take several years to ramp up the volume “even if we start today,” but he added that could coincide perfectly with a growing of that market by shippers and the commission. And at the end of the day, it could give the “California Avocado” brand an additional way to differentiate itself in the marketplace. Avi Crane gives a rundown of upcoming avocado supply dynamics between the U.S., Mexico, Peru and Chile. Yonatan Packing & Marketing is a 20 year old Israeli packing house owned by two moshavs and devoted mostly to the cultivation of mangoes, as well as avocados and citrus in the winter. “We produce 10,000 tons per year and deal with clients in Europe (the Netherlands, Belgium, Germany and the UK), Russia, and Jordan and, of course, the local market, as well as Gaza and the West Bank,” explains owner CEO Moshe Meiri. Retail sales are in fact of paramount importance for Yonatan, as the company’s produce is mostly targeted at this market, where it competes directly with producers from countries like Brazil, Peru and the Dominican Republic. “Spain is also currently becoming a big player, and we were sure that it would arrive with very big quantities this campaign, but it ended up not being a big issue during our season,” says Mr. Moshe Meiri. Lastly, there are big differences in consumption habits between different countries that need to be taken into account in terms of marketing. 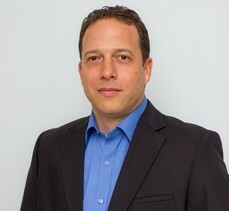 “European retailers, for example, have been switching from green skin varieties to the Hass, which for them are much easier to handle, with a much lower waste percentage, but Israeli growers still prefer the Ettinger, as it is huge in the domestic market and generates much more revenue,” concludes Moshe Meiri. The California avocado deal has been hampered by a plethora of small-sized fruit, with Mexican producers providing most of the larger fruit for the past couple of months. But the avocado market is on an uptick as Mexico moves into a typical lag period and California fruit begins to have a more diverse size portfolio. The result, he said, is a strengthening in the market. He said Mexico’s fruit, which has largely ranged from 32-48s, was down in volume the last week in June and should be down for most of July. It will be August, he predicted, before Mexico gets into big volume shipments again as its new crop begins. At the same time, California is expected to have good size and good volume well into October. At the beginning of the season, the California crop was estimated at about 515 million pounds, which is a big-volume crop. The smaller fruit during the first third of the season has reduced the estimate a bit, but most observers still expect it to be very close to the 500 million-pound figure. Illustrating the size issue was Mark Carroll, senior director of purchasing and merchandising for produce and floral for Gelson’s Markets, which is a Southern California chain of 16 upscale stores. Gelson’s typically supports the California avocado growers when their crop is in season, but this year it was mid-June before he was able to find enough large fruit for his conventional displays. He said he was able to switch to organic avocados from California early in the season because he uses a 48 size in his organic displays. But he just wasn’t able to find enough of the 40 size and larger fruit for his conventional displays until mid-June. Wedin said that most of the larger California Hass avocados that have been available are “Lamb Hass,” which is a slightly different variety though it does have the “Hass” designation and as the season wears on it is hardly distinguishable from the regular Hass. It does have a slightly smoother skin, especially early in the season. Bob Lucy, who is a partner and handles sales at Del Rey Avocado Co. in Fallbrook, CA, cautioned that while the fruit is getting larger, it may be several weeks before there are consistent supplies across all sizes. Lucy said many growers have been size picking for two months, literally taking any fruit with any size at all off the trees. So even though the fruit is now sizing at a much faster clip, he said it is going to take several weeks to completely fill the pipeline of all sizes. Of course this was also caused by a several-dollar jump in the market place, which saw a strong demand for many sizes. By the last week of June, the U.S. Market News Service reported that larger fruit from California was selling in the $ 35 to $ 37 range, while the smaller fruit was in the $ 28 to $ 30 range. Some of the smaller fruit was being sold in bags for attractive retail pricing on multiples. 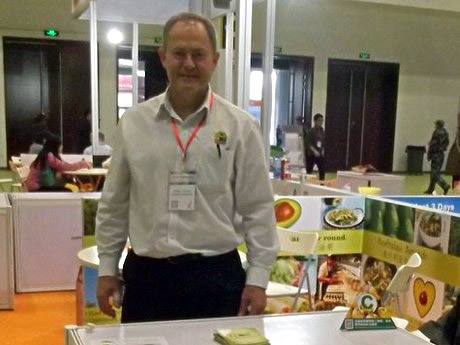 Mission Produce has raised its avocado sales in China by 15% since a partnership was reached with Lantao. As the export arm of Milouot, Galilee Export has established itself as one of the two largest exporters of avocados & Citrus in Israel. They’re now looking to build on that success and expand both their mango and avocado operations. Out of the vacuum left by the liquidation of Agrexco, Galilee was formed as a cooperative to help growers ship their products to other markets. Through expanding acreage and the addition of new growers to the cooperative, Galilee cemented their position as one of the top exporters of fruits mainly Avocado. Currently, they sell about 17,000 tons of avocados to foreign buyers every year, and not wishing to rest on their laurels, Dror Eigerman, Galilee’s new CEO, is looking to build on that success by increasing the volume of fruit they handle. “This year we signed an agreement with ZEMACH that will bring us extra avocados,” said Eigerman. The deal could boost Galilee’s annual exports to 23,000 tons, and it will also bring an added benefit of increasing the volume of mangos they sell. Currently, Galilee exports around 1,600 tons of mangos annually, but the new production they’ve acquired could yield an additional 3,000 tons of mangos per year. The area in which Galilee’s new partner grows its avocados also means they’ll have fruit earlier in the season, which could allow them to reap the better prices often seen at the start of the export season. Galilee is also looking to bring more aspects of their mango operation in-house. The vertical integration would give them a better command of the process, would be more cost-efficient and would allow Galilee to stay on top of evolving market trends. “Ready-to-eat is the future with avocados, so we’re investing in ripening rooms in France,” explained Eigerman. “Supermarkets are asking for 12-month supplies, so it makes sense to invest in ripening rooms that will help guarantee supplies and guarantee us a place on the shelf. So I’d prefer to be the one leading.” The ripening rooms will be located in the southern part of France, where Israeli shipments can quickly reach Europe. Once there, avocados can be ripened and efficiently distributed throughout Europe via France. Eigerman noted that they need the kinds of advantages this move will bring in light of increasing competition from Chile. While Spain is their biggest rival in Europe when it comes to avocados, Chile is making big strides in Europe. “Chile is the one we’re colliding with on Hass avocados, and they’re growing,” said Eigerman. “As long as Chile continues to develop, we’ll be in a competitive market. 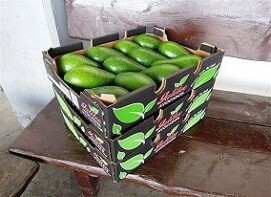 At the moment we have an advantage in quality, volume and ability to deliver, but they are coming with volumes later and later in the season.” South Africa & Peru still ships avocados to Europe when Israel begins their export season, but at that point, Israeli growers only have Ettinger avocados, which are sold mainly domestically, so Israeli exporters don’t really compete with South Africa. Eigerman sees mangos and medjool dates as products they can grow their market presence with. Aside from the additional mango production from ZEMACH, he wants to bring additional growers into the fold. But he noted that new growth needs to be balanced in order to preserve the unique character they’ve built so far. “Coming from Mehadrin, the difference between there and Galilee has been that Mehadrin was like an armada and Galilee is like a commando unit,” said Eigerman. “This company was started with avocado and citrus, and later on growers brought in mangos and sharon fruit. So we’re getting more products in, but only the ones we choose. One product I believe in is the medjool date. It has a good shelf life, we have a good area behind us now, it’s easier to grow than avocados and I think it will keep growing.” He mentioned optical sorting machines as a way to make their date program more efficient, though they’ve not yet installed those machines. While they don’t have the advantages with dates and mangos that they do with avocados, Eigerman said they’ll proceed in a growth pattern that prioritizes control. Much like the in-house ripening they’re building in France, integrating all aspects of the export program for each commodity is key to retaining control over the things that can be controlled. “The biggest threat we face is the rising costs of water, electricity and labour,” said Eigerman. “It’s nothing critical at the moment, but it is a problem. The currency, it’s strong, but I would prefer a better currency situation. But we can’t control it.” The exchange rate with the Russian ruble has made it so that Russian importers, who are suffering under a ban on European goods, are looking to Israel in greater numbers for fresh produce, but they often can’t offer the competitive prices needed to secure that produce. So Eigerman doesn’t think they’ll expand into that market. In the future, he mentioned Asia as a possibility for expansion, but Chinese phytosanitary regulations must first be dealt with at the government level. But those challenges can definitely be dealt with, noted Eigerman, especially given their company make-up and strong ties to growers. Because they’re small and nimble, they can adapt quickly, and the fact that they’re actually a cooperative of growers also helps.